We are quickly approaching the holidays. Every year it flys by and I always say to myself that this year I will be super organized, holiday cards done by Thanksgiving, presents wrapped as they are bought, and all shopping done by mid-December. I assume I am like everyone else on the planet and this miracle never happens! I do have a small amount of shopping done, no presents wrapped and some Christmas cards ordered so I guess I am 1/4 of the way there. I hope to finish ordering my cards today. With all of the online options and quick shipping this is probably the easiest item on my list to cross off. We have been designing custom photo cards for over 5 years now and each year we add multiple online sites that we design for. 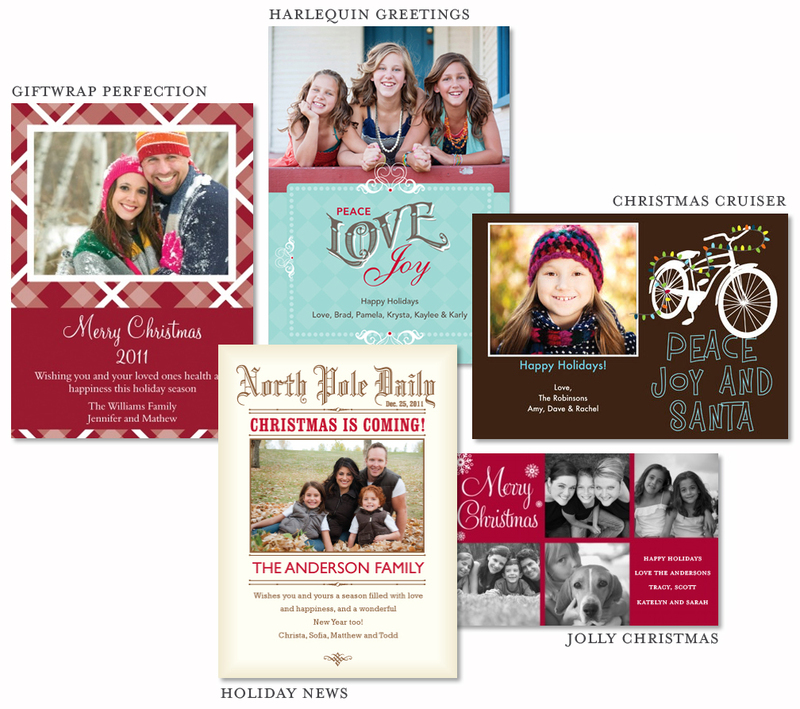 You can find our cards on sites like TinyPrints, KodakGallery, Snapfish, Simply to Impress and many others. I have gathered a small sampling of some of our cards to get you inspired. It only takes a few minutes of your time to upload and personalize a card and within a week you get the finished product and a lot of happy smiles from all of your friends and family. Most sites are also running discounts so there is no excuse to sending a personalized card!